Have you baked anything really amazing recently? Have you gone into your kitchen, measured flour and sugar and butter, and created a tasty masterpiece? I did. I made these muffins. They are fabulous mix of fall and spice and festivity. 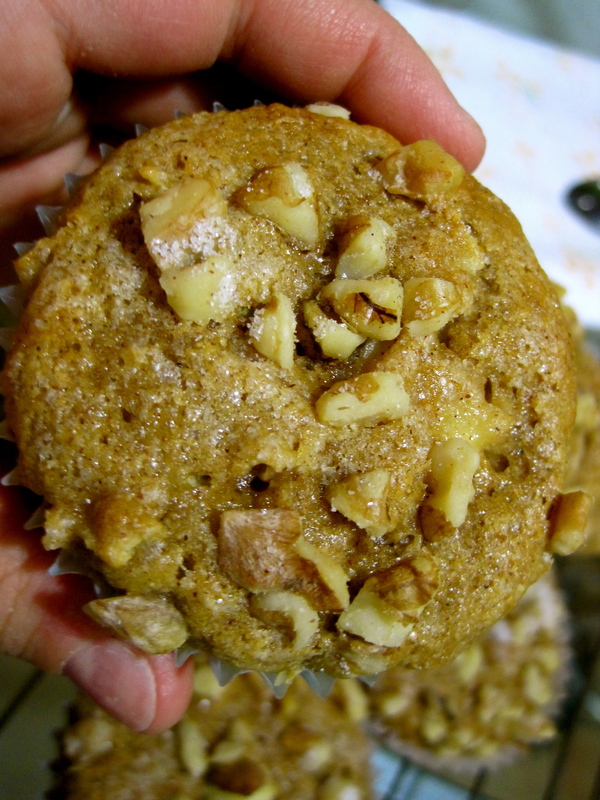 I was looking for a recipe that wasn't too sweet with a bit of nutty flavor and texture. I came across this recipe (like many of the recipes I post on this blog) from Joy the Baker. Originally, Joy made this amazing treat in a loaf pan. I wanted something a little more portable so I put my batter into muffin cups for tiny treats. I'm not kidding when I say that this recipe goes to the top of the list of my favorite quick breads/muffins (like the chocolate chip banana bread). 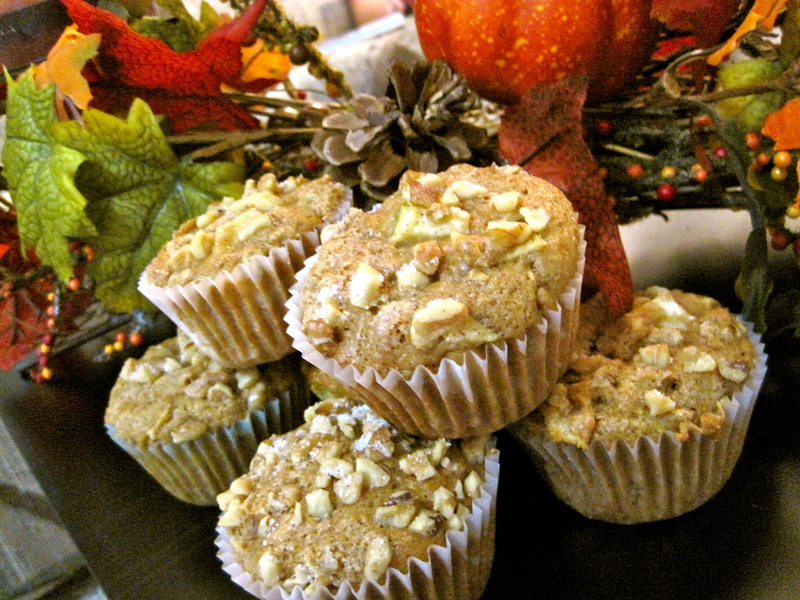 These muffins were delicious and they have the added benefit of whole wheat flour and flax. Forget veggies, these are a health explosion. Go make these for your boss and your friend and your grandpa. 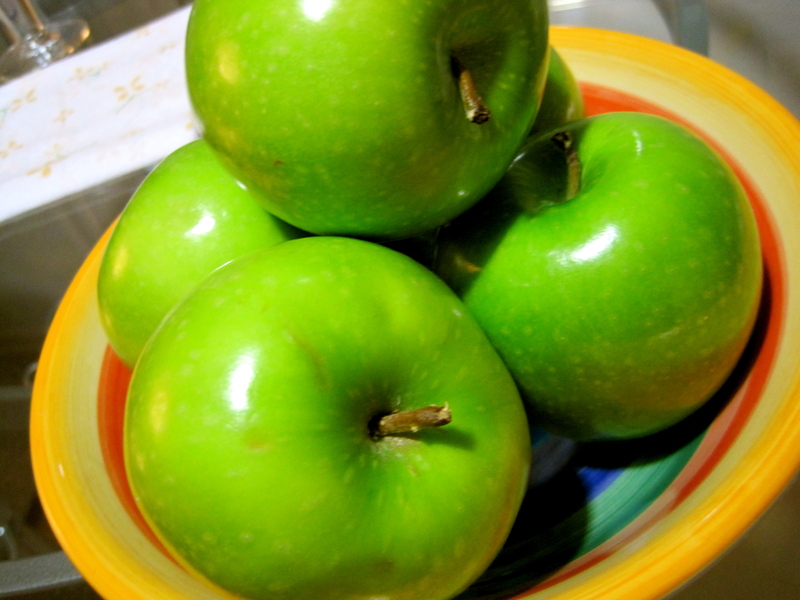 I loved how the apples contribute to the recipe. 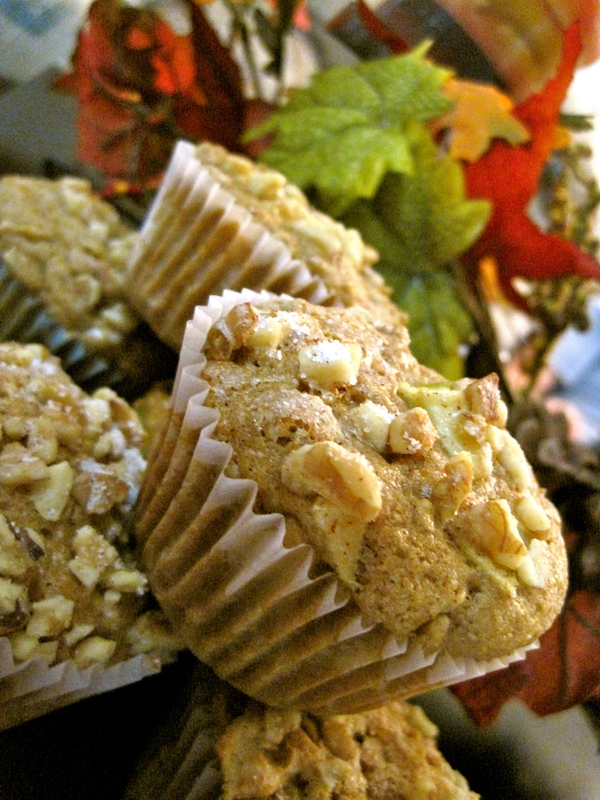 They grated apple delivers a distinct apple-y sweetness and the chopped apple pieces give the muffins a great texture. I didn't have buttermilk (I actually hardly ever have buttermilk) so I used my standard substitute: 1 cup of milk to 3 teaspoons of white vinegar. Since this recipe only called for 2/3 cup of buttermilk, I used 2/3 cup of skim milk and 2 teaspoons of white vinegar. In a small bowl, mix buttermilk, melted butter, vanilla, and eggs. Mis the wet buttermilk mixture into the dry mixture. 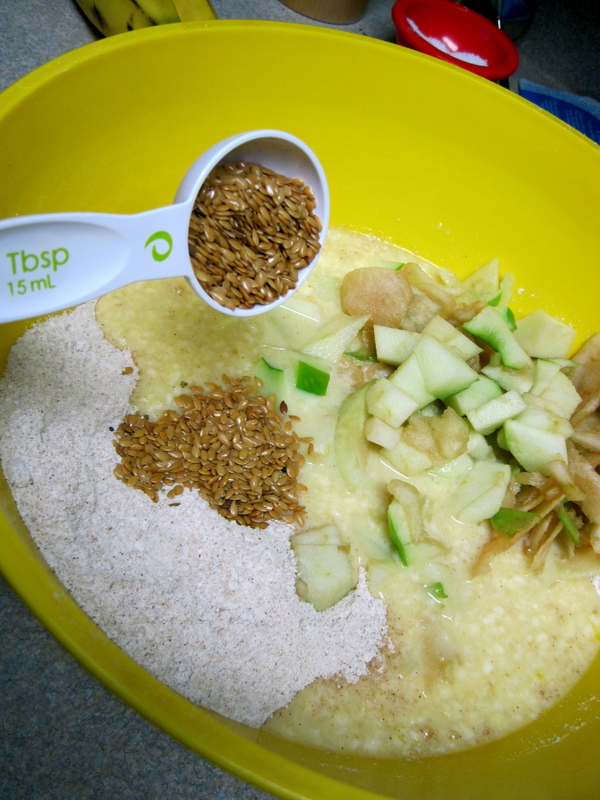 Fold in the grated and chopped apples, flax seed and half of the walnuts. Spoon batter into lined muffin pan about 2/3 of the way up. Sprinkle with remaining walnuts, cinnamon, and white sugar. Bake 20-25 minutes (my oven may be slightly off, so keep an eye on them) or until a toothpick inserted in the center comes out clean. Let cool in pan for 20 minutes. Remove and allow muffins to completely cool before wrapping (if you're not planning on eating all of them first). Muffins keep 5-7 days sitting out, but can be frozen for up to 3 months.